Your map, delivered straight to your smartphone. Improve your chances with with our hunting maps, complete with forestry inventory, hydrography, forestry trails and much more. An essential tool for your moose hunting. Contains forestry coverage by potential areas for moose feeding, land tenure and much more. An essential tool for your deer hunting. Contains forestry coverage by potential areas for deer feeding, land tenure and much more. 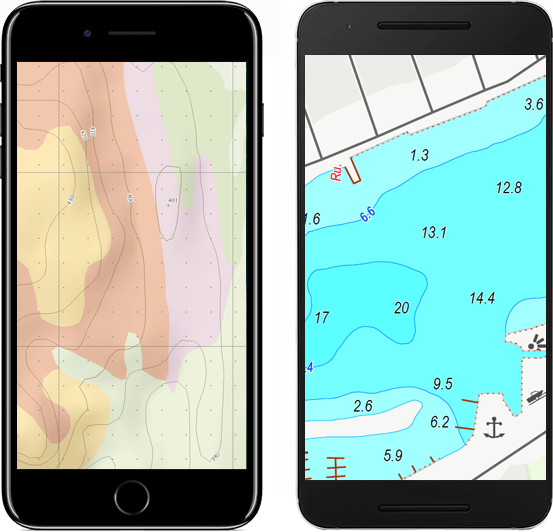 Get detailed topographic coverage with vegetation, points of interest, hydrography and more. Level up your boating or fishing with our marine charts, complete with depths, hazards, lights, buoys, marinas and much more. Be the first to know when new map types are offered.